Breast augmentation remains one of the most popular types of plastic surgery. When you consult a board-certified plastic surgeon, you’ll receive detailed pre-operative and post-operative instructions. You can support your recovery and protect your health by following these instructions carefully. Do read your post-op instructions well ahead of your surgery date, as there will be a few things you’ll have to do beforehand to prepare for your recovery. And remember, you can always call the doctor if you have any questions or concerns. It’s only natural to try to jump right back into your usual routine after the first couple of days, but try to resist the temptation. Everyone heals at their own pace. Most breast augmentation patients can expect to rest up for two to four weeks before resuming light activities (no heavy lifting). After that, you’ll still need to avoid strenuous activities until your plastic surgeon clears you. During your initial recovery, you should have a responsible adult at your home to help you out. If you have young children, you’ll need to make child care arrangements. Before you return home from your surgery, you’ll be given a support garment. You’ll need to wear it 24/7. 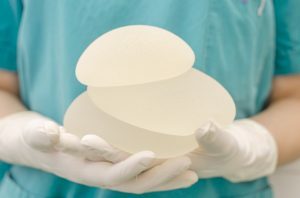 Wearing a post-surgical bra as directed is crucial, as it supports healthy blood circulation, stabilizes the implants, and reduces post-surgical swelling. You may wish to purchase a few support bras ahead of your surgery. Avoid ones with underwire, and choose a seamless style made from breathable fabric. Your plastic surgeon will prescribe antibiotics and a pain reliever. Don’t take more pain medication than prescribed, but don’t wait too long to take your first dose, either. After surgery, some patients wait until they’re in severe pain before they take a prescription pain reliever. But doing this can be problematic, as it might not work as well to control the pain. Instead, take the pill when directed to do so. If your pain isn’t well controlled, call the doctor instead of taking extra doses. Always finish your full course of antibiotics, even if you show no signs of developing an infection. If your antibiotics upset your stomach, you can take them with a probiotic supplement, or eat yogurt that contains active cultures. Any medical procedure has the potential for complications, like infections and poor wound healing. Your plastic surgeon will give you a list of issues to watch out for, such as worsening pain, worsening swelling, and fever. Don’t hesitate to call the office if you’re ever unsure if your recovery isn’t going as anticipated. The decision to have breast augmentation in NYC is not one to be taken lightly. It’s important to work with a plastic surgeon who has impeccable credentials, and who will take the time to listen carefully to your questions and concerns. At the office of Dr. Thomas Loeb, the safety and well-being of our patients are our highest priorities. Dr. Loeb is a renowned, board-certified plastic surgeon who places a high value on patient education. You can request a confidential consultation with Dr. Loeb at his office in Manhattan, NYC by calling 212-327-3700.